Today we are excited to feature author, editor and consultant Harold Underdown. 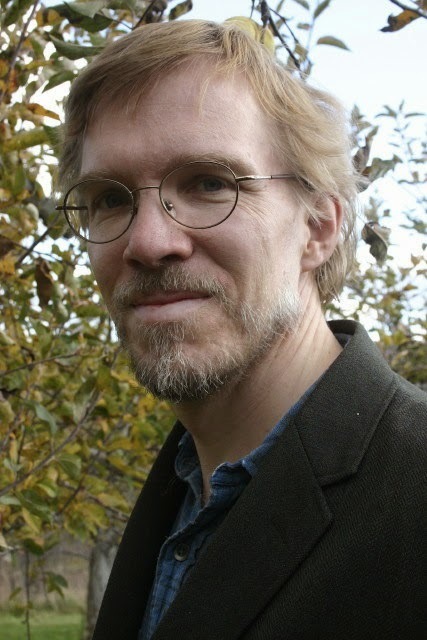 As an in-house editor, Harold has worked at Macmillan, Orchard, and Charlesbridge, and has experience in trade and educational publishing as well. Harold is also a speaker and gives workshops through the Highlights Foundation, the SCBWI's national and regional conferences, and Kid’s Book Revisions. Harold is also a contributing editor to Children’s Writer’s and Illustrator’s Market. Be sure to enter his giveaway of the 2015 CHILDREN'S WRITER'S & ILLUSTRATOR'S MARKET with a foreword from Harold. Welcome, Harold Underdown! You've been an editorial consultant for many years and have written books for writers such as, THE COMPLETE IDIOT'S GUIDE TO PUBLISHING CHILDREN'S BOOKS (in addition to your amazing website THE PURPLE CRAYON) what made you decide to write how- to books in addition to your freelance editing job? 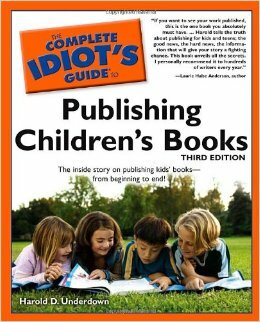 I’ve actually written just the one book—THE COMPLETE IDIOT'S GUIDE—and I wrote the first edition while I was working at Charlesbridge. 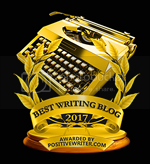 I’ve since done two revisions while working independently, and I never would have written it if the Idiot’s people hadn’t found my website and approached me! There’s a wider answer to your question, however. In addition to finding fulfillment in editing, which involves focused, careful “listening” to a writer and helping them meet their goals, another part of me loves to teach, and I’ve done that since I started working in children’s publishing at Macmillan Children’s Books. To start with, I expressed my teaching self by speaking at conferences, but soon added my website and the book, and, more recently, workshops on revision and other “craft” topics, at the Highlights Foundation and other places. In the end, the two needs dovetail, because when I work with an author on a manuscript I often find that I am also teaching. Can you tell us about the new edition of CHILDREN'S WRITER'S AND ILLUSTRATOR'S MARKET that you've worked on? Last fall, Chuck Sambuchino, who is the editor responsible for CHILDREN'S WRITER'S AND ILLUSTRATOR'S MARKET (or CWIM) asked me if I would be interested in helping them make it a better book and make it better known. I’ve long seen CWIM as a highly useful and time-saving resource so I was happy to take on the project. I worked through the winter and spring on helping them make their publisher and agent listings as accurate as possible and I also made some strategic suggestions, the most significant being that they should provide content and information specifically for illustrators. Partly they addressed this in the listings, by updating or adding art director and art submission information. But CWIM includes a number of articles in addition to its listings and these had become almost entirely directed towards writers. Some of these cover basic information and appear every year. 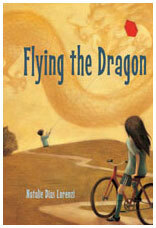 Others address craft concerns or cover current issues in the children’s book business. There are also interviews with debut authors. They didn’t have time this year to get in feature articles on illustration topics, but there are several interviews with debut children’s illustrators in addition to the ones with authors. I hope that my work made it a better resource for people at the submissions stage. You can of course find much of the information in CWIM on publisher’s and other websites, although you may have to do some digging, but it’s an enormous time-saver to have it all compiled and organized. How do you approach submissions as an editor? What makes you stop reading? I’ll answer your question as if I were working in-house, since that’s what your readers probably want to hear. I always approached submissions with tremendous hope, that the NEXT manuscript I read was going to grab me and not let me go. And, over the years, like all editors do, I did find manuscripts from people I didn’t know that surprised and excited me. That’s a wonderful moment, when it happens. Of course, most manuscripts in the “slush pile” don’t do that, for one of a number of reasons. I can group them into two categories, I think—there are the books that are obviously wrong for my publisher, either because they don’t publish that particular type of book or because they just did publish something too much like it. DON’T act if if you know more about children, children’s books, or publishing than the editor or agent to whom you are submitting. Nothing turns someone reading a query or cover letter off faster than being told that you, the author, know what makes children tick, or that the first publisher smart enough to perceive your brilliance will have a bestseller on their hands, or that you’ve been told by children that your work is hilarious, or…. You can imagine other variations. The point is that submissions readers see a lot of manuscripts every week. They know what they are looking for and they know that people who try to tell them what to do don’t really understand what editors and agents do. DO do your research! That includes making sure that you have the correct email or physical address for an agent or publisher but it also includes getting some sense of the kinds of books they represent or publish. DO follow their guidelines. And DO get their name right. Get feedback—from a critique group, a conference critique, a writer friend, or a professional—before sending it out. And then go back and make it better. Making mistakes in standard submissions format and procedures won’t matter if your story is wonderful, and following the “rules” to the letter won’t help if it’s just not that good. Where most people fall down is in thinking their manuscript is ready to send out when it’s not. Since it’s so hard to be objective about one’s own work, get help. 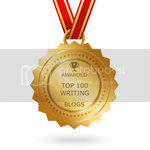 You are a freelance editor offering professional services to authors. Can you tell us about these services? Can you describe one or two instances of how you helped someone in a consultation/critique? I could do a whole other interview about my work as an independent editor! Briefly, as an editor I do basic critiques, more involved developmental editing, and strategic consulting. In the critiques, I try to get inside what the writer is trying to do and help them do it better. As an example, I worked with Natalie Dias Lorenzi on an early draft of what became FLYING THE DRAGON, and pushed her to develop and build out the story further (along with other, more specific questions and suggestions). When I do consulting, I may work with an author on publisher choices, or, as I did with a nonfiction picture book story I consulted on earlier this year, help an author consider changes that may work better for a particular market. has a newsletter if someone wants to be notified about upcoming events. Click here Kid's Book Revisions to sign up for news! There’s The Purple Crayon, of course, at http://www.underdown.org/ —which provides information about children’s book publishing as well as pages about me and what I do. On the home page, there’s a link to my Contact page. I am also on Facebook, and on Twitter as @HUnderdown. Harold enjoys teaching, and in that role wrote The Complete Idiot's Guide to Children's Book Publishing, now in its third edition. He founded and runs "The Purple Crayon," a respected web site with information about the children's publishing world at www.underdown.org. He speaks and gives workshops through the Highlights Foundation, SCBWI's national and regional conferences, and Kid’s Book Revisions (offering online and on-site tutorials and workshops in partnership with Eileen Robinson). He also works as a contributing editor to Children’s Writer’s and Illustrator’s Market. As an in-house editor, he worked at Macmillan, Orchard, and Charlesbridge, and has experience in trade and educational publishing. Among the books he has edited are Yumi Heo's One Afternoon, Larry Pringle's and Bob Marstall's An Extraordinary Life, Lisa Rowe Fraustino's Ash, Grace Lin's The Ugly Vegetables, and Sneed Collard's and Michael Rothman's The Forest in the Clouds. He is also the editor for the Young Patriots Series, published by Patria Press. Thanks for this insightful article. I have a somewhat unusual question and am wondering if Mr. Underdown might have some advice/opinion. I got a quick bite from a well-connected agent on my first book. He shopped it to the top dozen children's publishers where it received very good feedback and two close calls, but no purchase. After that, my agent fizzled - his personal strategy for success seemed to be to move on to another author rather than try second tier publishers. I probably could have nudged him harder, but I didn't want a long term relationship with an agent who took that approach. We parted very amicably. I suspect this book is 'ruined' now in terms of getting another agent and I will need to try again with my next book. Would you agree? Cynthia - We will pass this comment on to Mr. Underdown. Also, feel free to join our Facebook group (https://www.facebook.com/groups/KIDLIT411/) where people might have thoughts/suggestions for you. It seems to me that you have some other options. One would be to send it out yourself, to publishers who still take queries from authors. You can call them "second tier" but I prefer "independent" or "smaller"--the quality from companies such as Algonquin, Boyds Mill, Charlesbridge, Holiday House, and others is just as high as from the NY corporate publishers. Another option would be to send it out to agents with an honest account of what happened. Someone might think, as I do, that a manuscript with a couple of near misses just might hook someone on the 13th, 14th, or 15th submission. And a third option, of course, would be to get some feedback on it from someone and consider revising it, so that it would be even better when next sent out. Thanks very much for these suggestions. I have revised based on comments and sent to a few additional agents (of course disclosing the manuscript's history). I had not considered publishers that take queries directly. I can only assume their slush piles are higher than the Himalayas. I will take a look at these names though, thank you! Thank you for the helpful advice, even though I may have been shot out of the saddle, before I even got on the horse. (I have several manuscripts with talking animals. But, hey the animals are smart animals!). My question is : what about word count? I know I need to get rid of all unnecessary words, (show not tell) but what happens if a longer script is essential for the story? I'm not talking Tolstoy length, but would an editor look at it, if it has 600 to 1000 words? Or would it land it the dreaded slush pile? Thanks. Here is the link that Harold referenced, Sally. I have heard Harold teach both in person and via online webinars and his information is always practical, pertinent and logical, just like what he shares here! I bought his book during my first year of writing and it was invaluable! I am glad CWIM asked Harold's input for their newest edition. I agree, Joanna! I did the same thing, I bought his book during my first year and was a faithful follower of the PURPLE CRAYON website! Love that resource! Thank you Harold for your part in making us better writers. Wow, what a wealth of information! Thanks for the interview Kidlit411 and the wise words, Harold. Great interview. I think Harold is just one of the most helpful people in the industry.Thanks so much for featuring him, y'all. Just fabulous info. Thanks SO much! Thanks, everyone! And especially to Elaine for taking the time to do the interview. Thank you Harold and Elaine - great interview. I like how you don't mince words on what gets a manuscript rejected and your advice on what to do. Thank you, Harold! The pleasure was all ours! I've had past issues of CWIM and they are packed with great information. I would love a current one. thanks for all the information and links in this blog post. It is very helpful. This is a great post to read! The Do's and Don't is especially helpful and informative. Thank you for sharing this!